Last Fall a videographer on assignment for the Purina Company spent most of a day visiting & filming at Dog Bark Park. Here’s the link to view the recently released footage: Purina PetCentric TV. 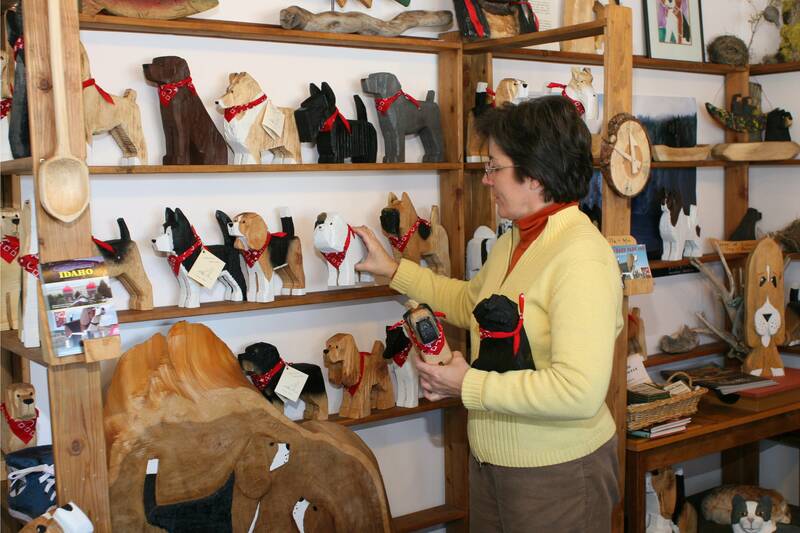 We hope you will enjoy a quick tour of our carving studio and the big beagle bed & breakfast. Nearly 45,00o people have viewed the video since it appeared on Purina’s website two weeks ago. We’ve enjoyed receiving phone calls and e-mails from dog lovers everywhere. Our studio is crammed with dogs in all breeds and states of completion as we are working on the many orders received. We’re also re-stocking our gift shop shelves for the busy summer season that will be here before long.